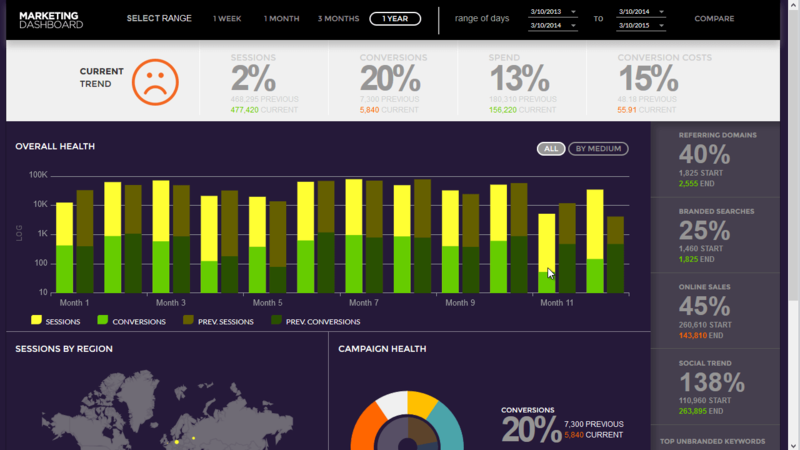 The Marketing Dashboard sample demonstrates the date picker, data chart, map, doughnut chart and bullet graph controls to tackle specific analytical challenges. Get ready to see your business statistics in a whole new way with this sample application. Built with Infragistics jQuery controls, this application is more than just visual data; it’s actionable data.